If you’re looking for an enjoyable way to spend a snowy afternoon or even an evening with friends then look no further than Pinstripes Bowling, Bocce and Bistro (1064 Wisconsin Ave. N.W.). This 34,000-square-foot space in the Shops at Georgetown combines an eclectic mix of bocce courts, bowling lanes and some Italian/American cuisine served up in the Bistro. This mega-establishment opened its doors to the public in January. Pinstripes brings a thoroughly different entertainment and dining experience to Washington. 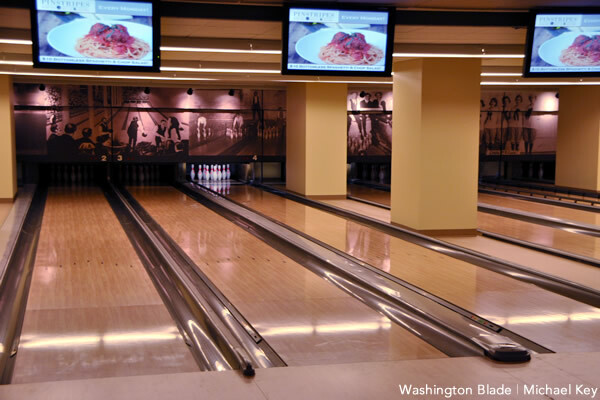 The Georgetown location (sixth for the company) features 14 well appointed bowling lanes, six bocce courts, as well as employees who know how to play bocce, and an expansive dining room with a wide selection of food and wine. 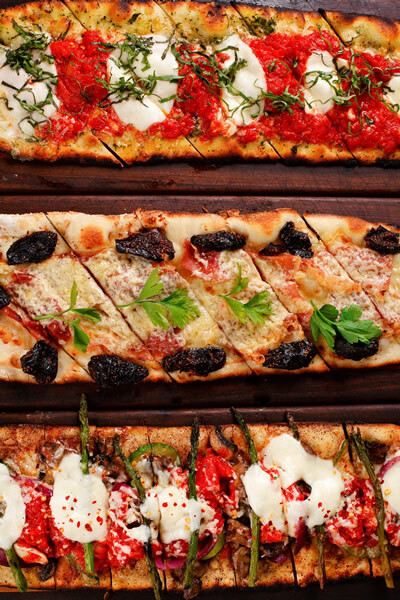 The menu at Pinstripes features small plates, pizzas and flatbreads, salads, sandwiches, pastas, large plates and, of course, dessert. There are also daily chef features, late night bites and a kid’s menu available. On the blustery and snowy afternoon we visited we decided that we were going to try several items off the menu, but we were going to let the wait staff aid in the decision-making process. The wait staff seemed to be impeccably trained and they were able to make some well-informed recommendations. The prosciutto and fig flatbread was the standout for us that afternoon. It had a thin, warm smoky crust, gorgeous slices of prosciutto and a copious amount of plump sweet figs that created a memorable dish. Not as successful however, were the tenderloin sliders. Our waiter said we would be fighting over the last one; unfortunately we were not impressed by this dish and happily shared the last one. While not a showstopper, we also enjoyed the chicken and goat cheese fusilli pasta with rosemary crème sauce and fresh cracked pepper. The sauce managed to cling to every piece of pasta and once stirred, the goat cheese provided the perfect amount of tang for the dish. For dessert, which is necessary if you plan on playing bocce and bowl (for the extra energy of course), we indulged in the flight of desserts. This profligate masterpiece included the divine caramelized cheesecake, an apple pear bread pudding and the decadent and dangerously rich Frangelico chocolate cake. After dining it was time to venture over to the bocce ball court. I had never played bocce before, so it was useful to have an employee available to explain the rules and ways to play. Otherwise, my first instinct would have been to hurl the bocce ball fast pitch softball style into the crowd of people at the other end of the court. 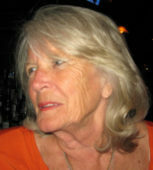 Think Queen of Hearts in “Alice in Wonderland”; if she can do it, so can I. After learning the basics, it was time once again to proceed to the next activity of the evening. Bowling and drinking beer was obviously next in line. The last time I bowled, the venue wreaked of stale beer, had sticky floors, uncomfortable plastic chairs, and I remember more than one child screaming at the top of its lungs. This was not the case at Pinstripes. The alleys had comfortable leather banquets and a clean homey feel to them, and no children were screaming. My bowling skills were not any better in these comfortable surroundings and after a couple of the Citizen Belgian Style Pale Ales (which were delicious), there was absolutely no chance I was going to be able to bowl the ball anywhere except the gutter. After an afternoon of softball pitching, gutter ball throwing and eating, I was thoroughly surprised by how much I enjoyed Pinstripes. It definitely provides a great new way to spend an evening with friends. You can eat, drink and play without leaving the building, and if a member of your group only wants to do one of those things, that’s an option as well. So if you are looking for something to do on a Friday night, give Pinstripes a chance. Just make sure to call ahead to make a reservation for a bowling lane or bocce court.